Pleasant country rock, decent songs, well sung and played. Big ballads and some easy going mid tempo songs that have similarities to the Jayhawks but without the ‘busy’ over production. Nothing hugely original but if you like your country rock of the mellow variety this could be for you. Decent respectful versions of the Cash originals by the man who played lead guitar for him for three decades. A blend of front porch country and bluesiness into a highly palatable stew! 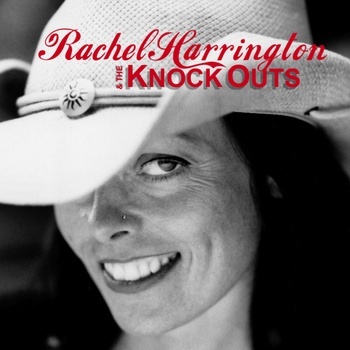 A departure from previous albums but a hugely successful one that includes honky tonk, a duet with Mark Erelli, beautiful country ballads and much more! They really know how to write sad songs but unfortunately some are almost too sad on this, what is for them, patchy album. Country music from the rural backwoods played as it should be, sweet but not sugary! A diverse bunch of excellent ‘hillbilly’ and blues all interlinked with made up commercials to make it sound like an old time radio programme................ and it works! Classic ‘country and western’ with terrific brother harmonies and with an edginess that many lack. Terrific album! From Tom Waitsian style vocals to what can almost be termed ‘straight country,’ on into folk, alternative country, country rock and blues! Not quite as good as their 2011 album but still very very good. Sparse instrumentation and stories from the underiviledged side of life. Mellow sounding but deep in content!.Improves with each listen! Gorgeously atmospheric versions of some classic ‘old timey’ songs. He’s never made a bad album but this one is a long way from his best. Diversity doesn’t always work!